Razer has refreshed its BlackWidow keyboard, which they claims that is the ‘best mechanical keyboard we have ever produced’. 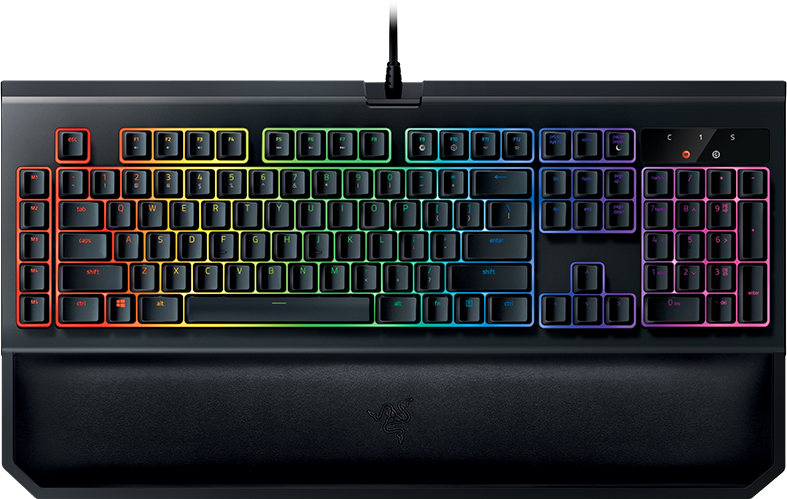 The Razer BlackWidow Chroma V2 mechanical gaming keyboard brings new keyswitch options, and an included magnetic wrist rest as well as further improvements ‘across the board’ compared to the original 2010 model. The BlackWidow Chroma V2 is a professional gaming mechanical keyboard that measures approx 18.72 x 6.74 x 1.54 inches and weighs 3.31 lbs. The keyboard has a full-size design that enable it to deal with various demands, and its specially designed ergonomic wrist rest delivers comfortable gaming experience no matter how intense your gaming marathons are. Moreover, the mechanical keyboard features individually programmable backlit keys along with 16,800,000 color opts meaning that you can use Razer Synapse to customize the lighting effect based on different games or your mood for enhanced gaming experience or personal style. BlackWidow Chroma V2 comes equipped with Razer Mechanical Switches that offer a comfortable typing experience and fast responsiveness, and three it comes out with 3 different options including tactile and silent, linear and clicky, tactile and silent, meaning that you can choose according to your preference. Furthermore, the switches features a life span of up to 80 million key strokes, and 10 key roll-over anti-ghosting prevents it from missing any command from your fingers during those intense gaming sessions. Additionally, this keyboard having fully programmable keys along with 5 additional macro keys and on-the-fly macro recording. In addition, it braided fiber cable is durable enough and long-lasting construction. Its audio out/ mic-in jacks let you easily connect your headset. All versions of the mechanical keyboard will cost $170. Razer said ‘select models’ start shipping today. You can go order it from Razer’s website.